Need an auto body repair estimate Blaine? North Star Auto Body in Blaine, MN offers free estimates. How do you choose the right auto body shop when you’re looking for an auto body repair estimate Blaine? Prices vary from shop to shop. One shop might give you an estimate for $300 while another asks for $1,000. How are you to know which one to choose? Next, take into account where shops are located and how much overhead they’ve got. If a shop is located in a wealthier part of town, it’s bound to charge more for services because its expenses are higher. The more workers an auto body shop has, the bigger its payroll, right? How many people are essential to getting the job done at a certain shop, versus how many are just walking around or sitting at a desk all day looking busy, collecting a paycheck, but not contributing much to the business? Because prices and costs vary, when you’re going to get an auto body repair estimate Blaine, get more than one. Go to three shops, tell them each what you need done, and see what they write on paper regarding what they’ll do and how much they’ll charge. Then take these papers home and mull them over. Decide which one you think makes the most sense to choose based on price, their attitude/professionalism, and your gut feeling. For an auto body repair estimate Blaine residents can call North Star Auto Body at 763-432-7537. How about custom paint Blaine vehicle owner? North Star Auto Body does custom paint Blaine. It has been said that “you get what you pay for” and that adage applies to car painting services. For instance, some places charge between $250 and $400 to paint an entire vehicle. If you’re on a budget and that’s the only option, you can do it. However, realize that the body shop is probably using inferior paints and the attention to detail could be sorely lacking. If quality is more important to you than a super low price, consider a locally owned shop with a solid reputation for quality paint jobs. These shops tend to use higher quality paint, and because they’re not corporate they have the time and inclination to paint your vehicle as if it was their own. Expect to pay between $1,000 and $5,000 for high quality custom paint Blaine. Should you want a specialty paint application done, such as air brushing art onto the vehicle or using metallic paint to stand out from the crowd, keep in mind that high end paints can cost the body shop more to buy and use. It’s not unheard of for certain high end paints to cost hundreds of dollars per quart. In this case, the overall custom paint Blaine car painting job could run you $5,000 to $20,000. For some people, money is no object, especially when it comes to their beloved car or truck, and especially if it’s one they proudly show at auto shows. So it’s not that unusual for a vehicle owner to spend several thousand dollars on a paint job. Keep in mind that there are a variety of price points for custom paint Blaine vehicle painting jobs available. You’re welcome to call North Star Auto Body at 763-432-7537 to discuss available custom paint Blaine options. For collision and auto body repair Blaine residents often choose North Star Auto Body, a reputable auto body shop. How can you figure out if a place is reputable? Ask around, and see what friends and family have to say about area auto body shops. You can also read online reviews. Also, consider how long the shop has been in business. Are they brand new with no real track record, yet? Or have they been around for decades and built a solid reputation over the years? When you drive up to the shop, how clean and secure is the parking lot and garage? Do the owners and workers seem to have their act together, or is everything a mess? Next, ask whether a shop uses original factory parts or aftermarket/used parts. The better shops stick with using manufacturer recommended original factory parts as often as possible. 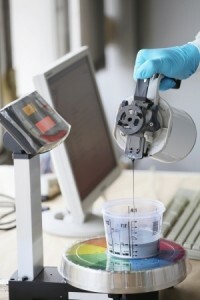 You should also ask if the technicians have specific experience working on your type of vehicle. Finally, consider getting three or four estimates so you can compare prices. You might also want to ask for a timeframe from each place to get a better feel for how long the work will take. If time is of the essence, and one place says they can get to it within two days versus another saying, “later this month,” timeliness comes into play and can help determine who you ultimately choose. For collision and auto body repair Blaine residents should definitely consider getting an estimate from North Star Auto Body. From dent repair to painting services involving expert factory color matching and blending for your vehicle repairs, North Star Auto Body is a smart choice in Blaine, MN. Call 763-432-7537 to schedule an appointment. For dent repair Blaine MN knows to go to North Star Auto Body. When a vehicle gets dented, it may be no big deal to some people, or it may matter a lot– it often depends on a person’s personality and their temperament. Think of The Odd Couple. One was/is a slob, while the other is a neatnik. One wouldn’t care about having a dented vehicle, while the other one could not sleep well knowing everyone else was noticing his or her dented car. With vehicles, aesthetics matter. While most modern automotive paints are hard and resilient, dents and chipped or cracked paint happen. You can try and do dent repair Blaine MN yourself, or you can take the dent to North Star Auto Body for professional care and repair. 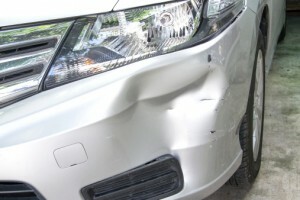 Did you know that proper dent removal typically approaches the damaged area(s) from the inside? Professional techs at North Star Auto Body will know what needs to be removed to access the damaged area, and they have the right tools to make it so. Furthermore, ask yourself this question: “Do I do dent repairs daily?” If the answer is no, then you should consider having North Star Auto Body do your dent repair Blaine MN. One of the problems of doing your own dent repair is that you may not be able to maintain a steady hand and gentle pace that’s needed to get the job done properly. It’s not unusual for amateur dent repairers to make their dents worse than had they just left them alone. Keep in mind that metal holds its shape to a certain point and if you pushed it a little too much you’ve got a more awkward look than before– not good. Rather than try and do dent repair Blaine MN on your own, call North Star Auto Body at 763-432-7537. In the Twin Cities metro region, auto body repair reviews Blaine MN indicate that North Star Auto Body regularly satisfies customers with integrity, kindness, and professional work. Choosing the right auto body shop for repairs and repainting can get a little complicated because different shops will offer various estimates– some of which will be very cheap. Remember this: you get what you pay for. When a deal seems too good to be true, it usually is! For auto body repair reviews Blaine MN residents can ask around to see what their friends, family or acquaintances recommend. If a business has proven it can satisfy customers time and time again then the word-of-mouth reputation will be good. Also, consider the location of an auto body shop– are they in the ritziest section of town where costs are higher for everything? Be aware of an auto body shop’s per-hour labor charge and decide whether or not you’re okay with it. If you don’t feel right about your vehicle being serviced/repaired somewhere, then go somewhere else. Trust your intuition. Auto body repair reviews Blaine MN show North Star Auto Body to be a trustworthy place doing quality work– definitely a shop to consider! Call 763-432-7537 to schedule an appointment to have work done on your vehicle or bring your vehicle in to get a free estimate. At North Star Auto Body, trained technicians treat vehicles as if they were their own, ensuring top-quality repairs, repainting and other needed services. For auto body collision repair Blaine MN, North Star Auto Body will never agree to “bury the deductible,” which is insurance fraud. Furthermore, North Star Auto Body won’t take short cuts to make repairs, and won’t do a second rate, sloppy job. North Star Auto Body treats auto body collision repair Blaine MN customers well, in that every vehicle is given the utmost care. 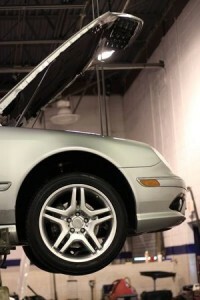 Work is done by experienced, qualified technicians who treat every vehicle as if it was their own. You’re welcome to drop off your vehicle during regular hours at North Star Auto Body in order to have it worked on, or you can call ahead and schedule a specific appointment time. The shop is located at 2136 108th Lane NE in Blaine, MN. Repairs start as soon as possible because North Star Auto Body knows your time is valuable and you want your vehicle back as soon as possible. You’re always welcome to ask questions, including ones that pertain to how long repairs will take. North Star Auto Body collision repair Blaine MN offers a variety of auto body repair services that range from cosmetic ding and dent repair to extensive collision damage repair as well as quality restoration work. In particular, North Star Auto Body is known for offering a variety of painting services, providing expert factory color matching and blending for vehicle repairs. 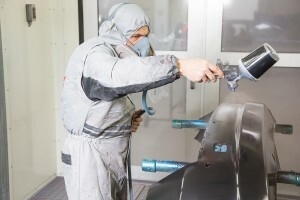 Painting a car to mirror a factory automotive paint finish requires excellent products, a great paint booth, the right body shop, and process-driven technicians. As for paint matching services, North Star Auto Body excels at fixing vehicles so the paint job looks “just right.” Thanks to paint mixing technology and computers, these days it’s not unusual for a professional paint job to look so good that you wouldn’t even realize it has been repainted. When you need detailing Blaine MN, go to North Star Auto Body. People pay attention to details, and detailing Blaine MN involves professionally cleaning a car or truck so that it looks its best both inside and out. If you want to attempt to detail your vehicle yourself, there are several things to pay attention to, including the cup holders, vents, buttons and switches. With a microfiber cloth and some cotton swabs, along with various sprays and store-bought cleaners, you can detail your own vehicle. Get ready to sweat as you contort your body into unusual positions in order to get at debris wedged between sill lips and carpeting. And get ready to inhale the smell of a foaming aerosol cleaner when you want to clean carpets and upholstery. On plastic surfaces you should use ammonia-free glass cleaner. To get at dirt, little stones, tiny pieces of paper and other items that end up underneath seats and such, use a vacuum. Try and clean your vehicle when it’s cloudy and cool outside so you won’t sweat as much. As for the exterior of your vehicle, you can make your tire rims sparkle by scrubbing them with a sponge, using an old toothbrush on them, and applying a non-abrasive cleaning product. After all that, rinse with water. To wash the rest of the vehicle, don’t use dish soap or laundry detergent– rather, use a store-bought car cleaner solution and water from the garden hose. You can also use a clay bar kit and a durable liquid car wax to clean and shine the vehicle’s exterior. It’s a good idea to store your supplies in a plastic bucket, which can also be used to hold water when actually detailing the car or truck. Also, a lamb’s wool mitt functions well as a way to remove dirt and sand while also allowing you to properly clean the vehicle. Detailing takes time. For detailing Blaine MN services, North Star Auto Body has great detailers with both the knowledge and the tools to get the job done for you. Detailing Blaine MN is what North Star Auto Body does, and does well. Professional car painting Blaine is available at North Star Auto Body, where your vehicle gets treated like the important piece of machinery it is. All too often, people go to the local discount store and buy things like paint markers or paint kits to “touch-up” the spots on their car or truck where the paint has chipped off. Cheap products applied amateurishly end up making the vehicle look worse than before. If and when you tried to “do-it-yourself,” and it turned out to look really bad, bring the vehicle to North Star Auto Body for proper car painting Blaine. North Star can fix paint mistakes, big or small. North Star Auto Body can remove touch-up paint that looks bad and detail the area(s) so the nicks, scratches, chips and other problems disappear. Also, North Star is able to do a great paint color and shade match so you wouldn’t even know there used to be something wrong with a spot or two on your car or truck. North Star pays special attention to how smooth the paint looks, matches and shines– making sure it looks as good (or better) than a factory paint job. There’s a lot that goes into car painting. Blaine motorists know that North Star Auto Body has a state-of-the-art facility which has all the kinds of tools and equipment to give a vehicle the professional care and attention it needs. Furthermore, North Star’s experienced techs make their living painting cars and trucks, and take great pride in their work. 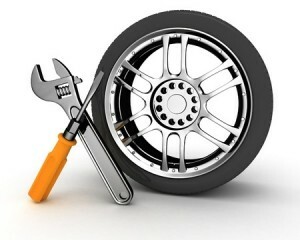 In other words, they treat your vehicle like their own, ensuring that it turns out looking superb. If you value your car and care about how it looks, take it to North Star Auto Body for a professional car painting Blaine. What’s the first thing someone should do before getting their car fixed? They should read auto body repair reviews Blaine. North Star Auto Body takes reviews very seriously, because their reputation matters. If people say negative things about a repair shop online on sites like Yelp, Angie’s List, or Facebook, those negative comments can truly hurt a business. Therefore, North Star Auto Body goes above and beyond expectations to deliver nothing but the best to each and every customer. North Star Auto Body’s goal is to satisfy each customer, treating them with integrity and kindness. Have you ever been to a repair shop where you felt ignored or like you were intruding on their “turf?” That can be really awkward. Furthermore, some shops are filthy, dirty and run-down and you feel like you need a bath after sitting in their waiting room. North Star Auto Body believes in keeping an extremely clean, well-lit, friendly atmosphere at its shop in Blaine. 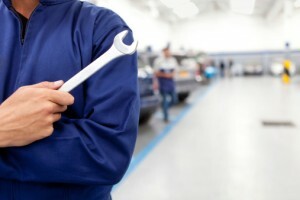 The state-of-the-art facilities show the customer that the owners invest in what they do, in order to bring the best auto repair experience to the great people of Blaine, MN. Online, if you google North Star Auto Body, you’re likely to find people’s opinions about their service. This is true for other competitors as well. As a good consumer, do “due diligence” by checking out the various auto body repair reviews Blaine and nearby. Consider whether or not the author had an axe to grind. See if what you need done to your vehicle is mentioned in a review or two, to see how others fared in the past. It’s also a good idea to ask friends and family their opinions about where they’d take their car or truck for service. Pay attention to those you trust and avoid the opinions of those you don’t. Chances are that you’ll discover North Star Auto Body has built a strong reputation for delivering great customer service, and making cars and trucks look and run their best. Go ahead- check auto body repair reviews Blaine. Blaine’s favorite is North Star. Car accidents really shake a person up. Eventually, the vehicle needs to be taken to an auto body shop. For auto body collision repair Blaine, that shop is North Star Auto Body, which can take care of the damages and get the vehicle looking and functioning good as new. If you or someone you know is driving along and unexpectedly gets into a crash situation, there are several things to remember to do. Even though you’ll be shaken up, it’s important to stay as calm as possible and determine the extent of the damage to the vehicle, as well as if you or someone else has sustained injuries. An accident should only be discussed with police– not the people who hit you or you hit. A police officer should be called to arrive at the crash site and take copious notes of what they find. You should file a car accident report with the police, so there’s a proper record of the accident which can then be used in court, if needed. Insurance companies will also want to see the report. Meanwhile, if you have a smartphone or other device with a camera, don’t hesitate to take as many pictures, from as many angles, as possible, so you have visual proof of damages. Auto body collision repair Blaine like North Star can use those photos to aid them in fixing what has been damaged. If another vehicle is involved in the crash, you can ask the other driver for their name, address and phone number, along with the name of their insurance company and the vehicle identification number of their car or truck. It’s then wise to call your insurance company immediately to report the accident– if you can do this from “the scene,” do so. 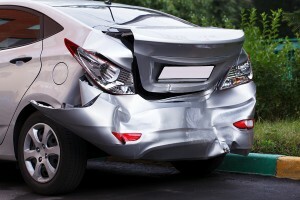 Accidents happen all too often, and that means cars and trucks get banged up bad. Should you find yourself in a situation where the vehicle you were in is no longer drivable, call North Star Auto Body at 763-432-7537. As auto body collision repair Blaine, North Star is prepared to collect your damaged vehicle, bring it to the shop, deal with the insurance companies, and repair/replace broken parts as needed.